Cruises from Miami, FL include a sailing from Norwegian Cruise Lines that not only stops in St. Lucia, but also on many other islands while on the 10-day cruise. If cruises from Ft. Lauderdale are more to your liking, you can enjoy the newest liner from Princess, the Emerald Princess on either a ten or twenty day excursion stopping not only on St. Lucia but at many other southern Caribbean destinations as well including St. Kitts, St. Thomas, Dominica, and Princess Cays, to name but a few. Because of its size, there are not many cruises to St. Lucia from Florida, but the ones that do stop there treat their guests to one of the loveliest islands in the area. From world class golf courses to dancing under the stars, St. Lucia is a destination that you won’t soon forget. Cruises to St. Lucia allow the guests to explore all that this tiny island has to offer. There are many varied activities from helicopter tours to scuba expeditions to eco-adventures and of course just enjoying the beaches and water activities to be had when you disembark. With mountains, beaches, water and forests, you will never be looking for things to do in St. Lucia; the activities will beckon you to join in and take in all the sights and sounds that make this a jewel in the Caribbean crown. 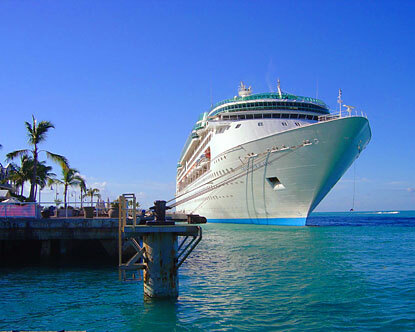 Cruises to St. Lucia from Florida are alive with personality, even before you leave the ship. Princess is the world’s third largest cruise line and with the new ships, the menus, the activities and the attention to detail, you are sure to enjoy your days at sea every bit as much as your island hopping that is to follow. Norwegian is long been known as the freestyle cruise experts, as they take a step back and allow the guests to cruise their way. Enjoy the beauty of cruising without some of the pretentions that can come with it and have your vacation how you want. St. Lucia is one island you shouldn’t miss on your Caribbean vacation, be sure that this stop is included in your itinerary when you choose cruises to St. Lucia from Florida.